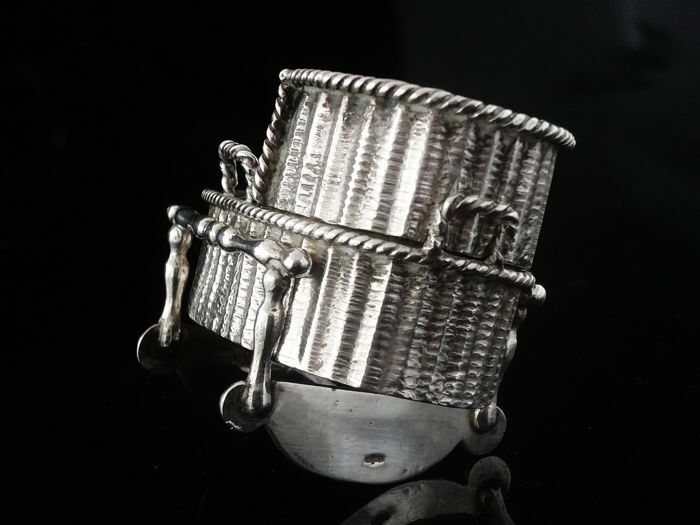 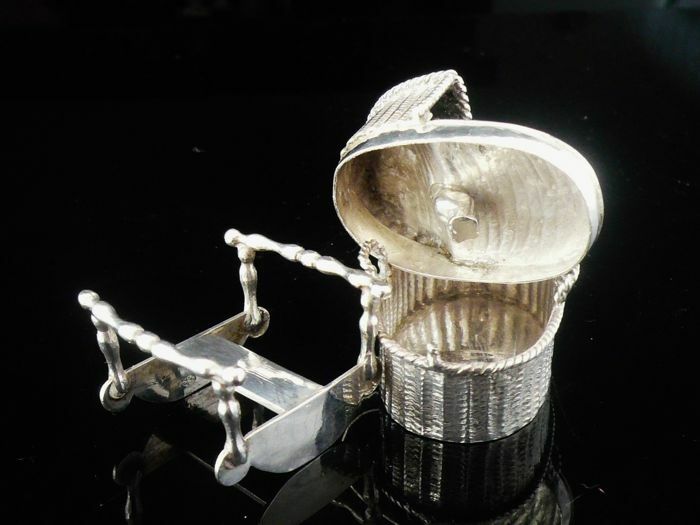 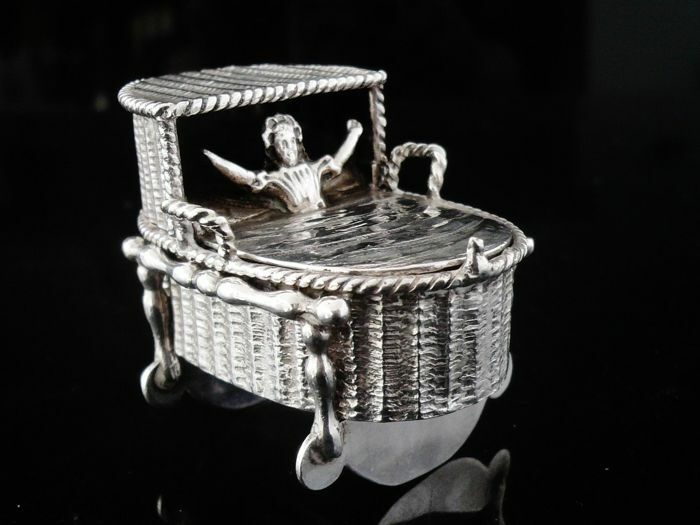 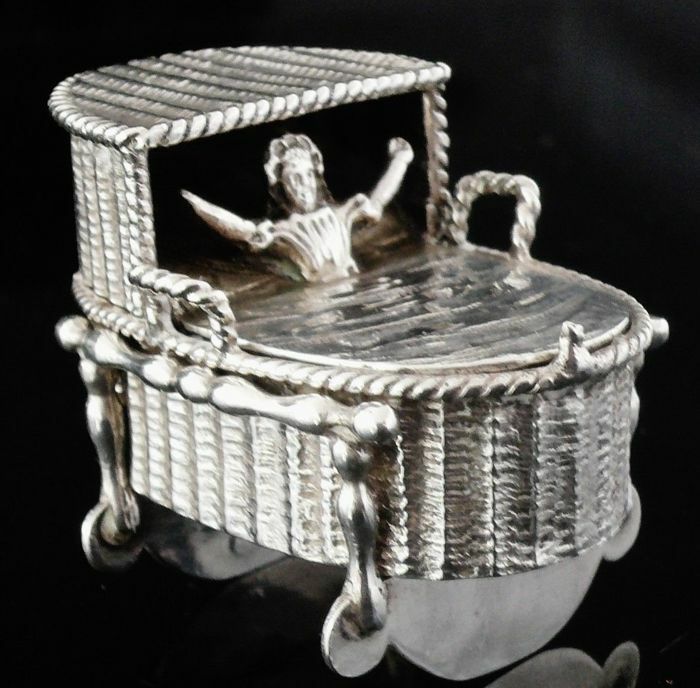 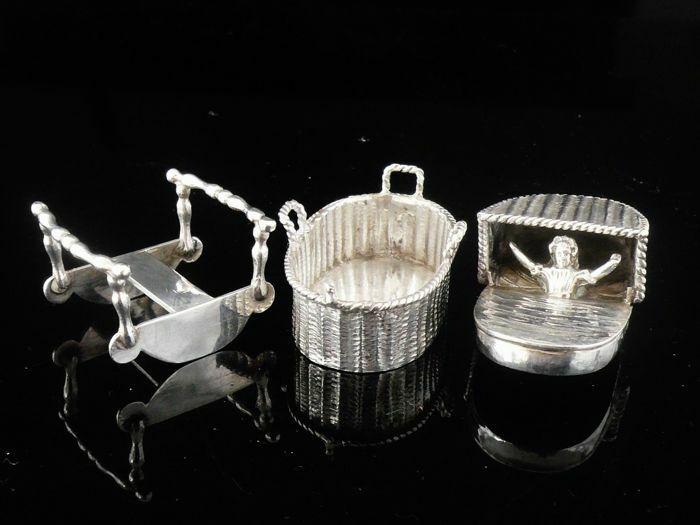 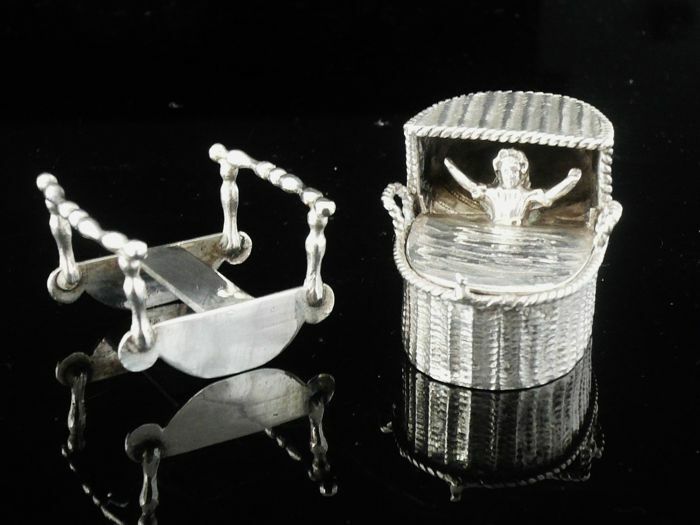 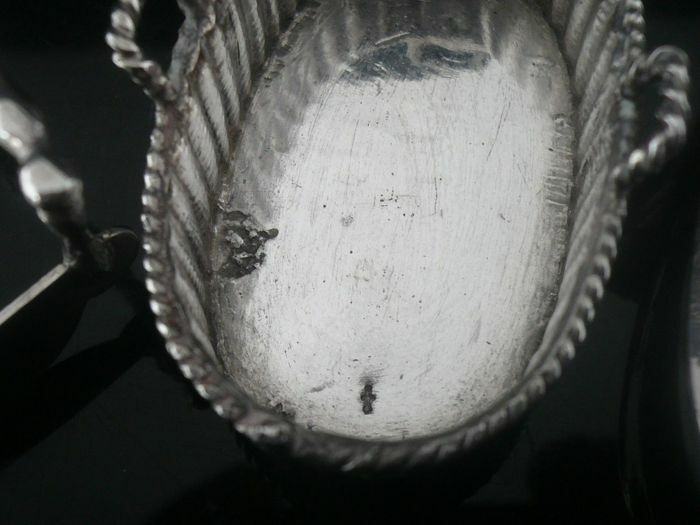 Dutch antique silver novelty snuff box in the form of a child in a woven wicker basket, the crib on a seperate rocking stand. 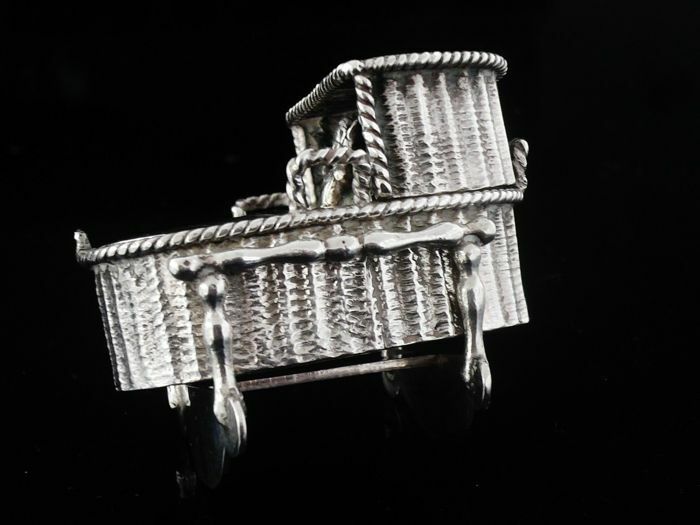 A super piece in excellent order , all pieces marked with the Dutch sword mark as well as additional Dutch marks on the base of the crib. 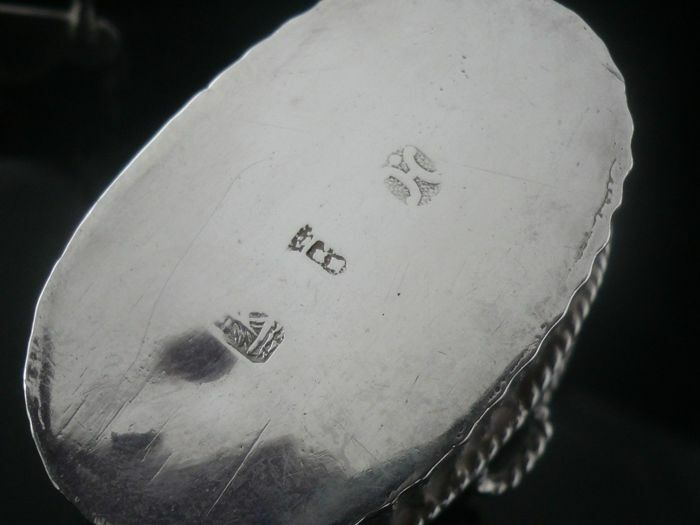 It measures 47mm in length.